I decided to join in on the official Figma contest by Good Smile Company for the 10th anniversary of the figma brand. I’ve uploaded previous creations to Instagram but unsure about the rules I decided to take new photos too. 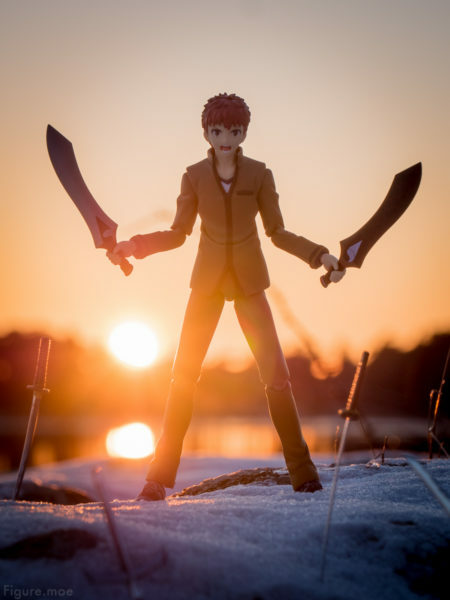 So here I present to you Emiya Shirou inside his Reality Marble and we get to follow him for a brief moment as he makes ready to fight a more powerful opponent. 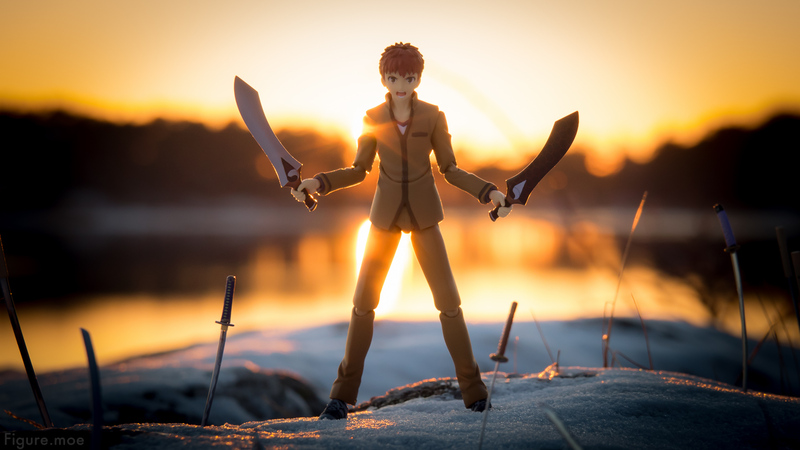 Please excuse the very repetitive pose in all photos; it was a very clear winter day just before sunset, but also really cold so I was freezing my fingers off by just throwing the snow in the last photos I shot. For the contest I only needed one photo that was good, so I focused on getting that one shot but as always I can’t decide for just one, so I give you the other two as a bonus. Which version is your favorite? 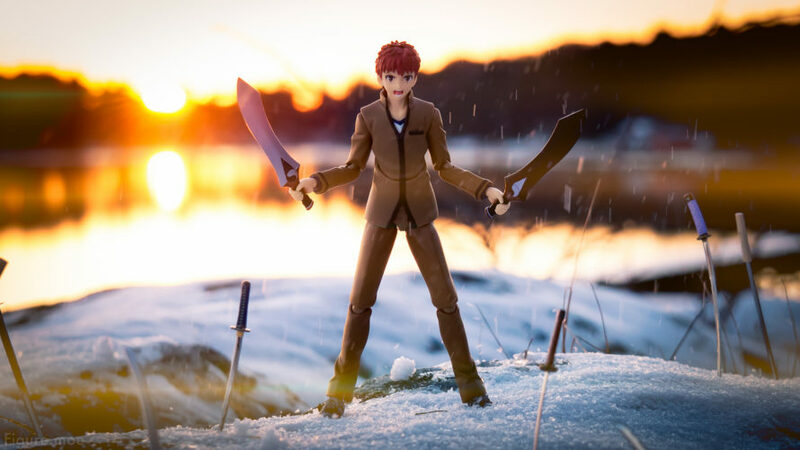 And do you think Shirou will win the fight? I tend to lean towards the first or second one but I can’t decide which is ultimately the best… Maybe the first one is the best since the second one leaves him a bit too underexposed? All of them look good though. Indeed, I didn’t work as much with the post-processing on the second one, so it could have been improved a bit. I was mostly focusing on the first one as I was hoping it would have been featured in the Figma contest, but the Shibuya Rin shot was chosen instead.